It's been 20 years since Xylitol Gum first went on sale in 1997. It brought a new image to gum products, by promoting its dental health effects, and is now safely the top brand of gum now. 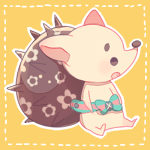 I'm sure many pixiv users chew on it to concentrate while drawing or studying too right? Did you know that the packaging of Xylitol Gum is designed by the popular illustrator Eku Uekura? It's actually part of the XYLITOL 20TH PROJECT celebrating the brand's 20th anniversary. The theme of the campaign is "COME ON! ENERGY! Let's chew! Towards our future!". The passionate messages encourages us to create our future together with the energy from chewing gum. The campaign focuses on 20 groups of artistes in their 20s who will take center stage in 2020. 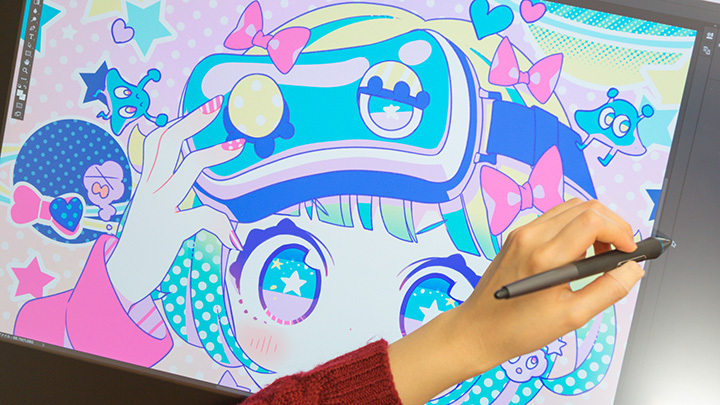 There will be actors, athletes, musicians, voice actors, manga illustrators, and many other youths from a variety of genres, and Eku Uekura has been chosen to represent the young illustrators out there. Using pop colors effectively, her expressive work dedicated to the fine details come together to bring about a cute piece of work. Apart from taking part in illustrating Little Witch Academia, The Novel (Detarame Majo to Yosei no Kuni) (Momo Tachibana/TRIGGER/Yo Yoshinari/Original: Kadokawa Tsubasa Bunko), and Uchira Tokushu☆Tenkou Travelers!! 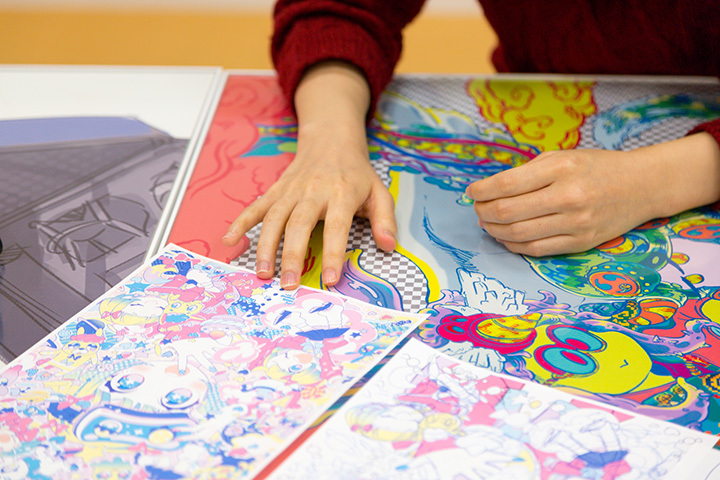 (Kyo Kogure/Kadokawa Tsubasa Bunko), she also helps out with the designing of character products for Hatsune Miku and other famous anime characters. 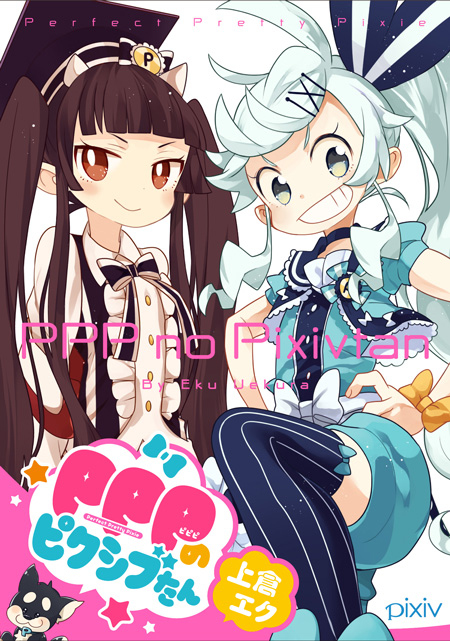 She goes by PPP no Pixiv-tan on pixiv comics. Here's what Eku Uekura drew for us. In order to get my friends to read my manga, I made them a part of it. -- When did you begin drawing illustrations? I've always enjoyed drawing since I was in kindergarten. We had art and craft time in kindergarten and I always looked forward to it. I never lost that passion through elementary to high school. -- Were you drawing both simple illustrations and manga then? I was, but more of manga I'd say. I used to draw a lot of shoujo manga-like things back in elementary school, but got hooked onto Full Metal Alchemist in middle school, and started drawing shounen manga because of that lol. My notes in middle school for always full of manga and I'd show them to my friends. -- Did you get very happy when they reacted to your work? Yep, of course! But they wouldn't actively read all of the stuff I drew. But you want comments and feedback on your work don't you? That's why I made my friends into manga characters and drew them into my manga. And then they'd start reading. -- You debuted when the work you submitted won a newcomer's award, but when did you decide to cross the line between interest and doing it professionally? One of the biggest factors would be age.....When I was 17, I realized I would be turning 18 soon, and a weird panic started to gnaw at me. The was a huge wall standing between 17 and 18 in my head. It was something I wanted to do before climbing over that wall. So I applied to a manga award! My birthday was in June, but I made up my mind in April and applied in May. I would draw after school ended, and dished out 40 pages in a month. Looking back, they are all so embarrassing, but I was full of content then. -- And you magnificently took the award. Were there any shifts in your mindset after that? It was just the smallest award, but I remember crying over the phone when receiving the call from the editorial department. I felt like I was just given the go ahead, having my amateur work flipped through by professional editors. But I didn't receive any news from them after that, and realized they might have forgotten about me. So I created a new piece of work and brought it over, when they finally remembered and someone was allocated to me lol. In the midst of making all these manga works, I often ran into the obstacle called lack of art skills. Because of my lack of art skills, I wasn't able to achieve the more prestigious awards. It made me determined to study more about art. -- What do you mean when you say study about art? 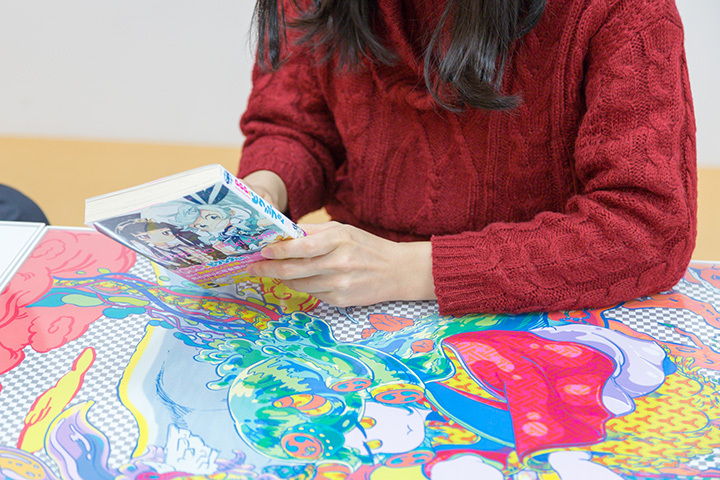 -- You debuted as a manga author in your teens, but are mostly working as an illustrator now. Has there been a big change in your mindset? It sounds somewhat negative, but I wasn't really aiming to become a manga artist. I realized in my 20s that I was only drawing in order to win awards. Drunk on the ecstasy of winning an award in high school, I thought it was my calling. After receiving an award I was aiming for, I didn't really have the inspiration to produce a serialization...... I knew I had to do it, but I wasn't desperate enough. The editor in charge of me back then said that he couldn't sense the desperation in me. Back then, I argued with him telling him that wasn't the case, but looking back now, that's exactly what it was. -- Was there something that helped you realize that? After a period of inactivity, drawing manga started becoming a chore to me. When I thought one day "Should I stop drawing manga? ", I suddenly felt a lot lighter. I believed that I wouldn't have been able to grab a serialization and it was hard anyway.....and that it would be better for me to just put a clean end to it. It was also then that I realized my motivation for drawing manga was rooted in winning a prestigious award. But I still enjoyed drawing. That didn't change even after I quit drawing manga..... Perhaps I could be more suited towards just drawing illustrations, I thought as I searched for new directions to head in. And that's how I'm still working hard with illustrations today! -- Are there illustrations or themes you want to try your hand at? I have a certain level of say regarding the illustration work I get. That's great, but I started looking for more freedom and end up wanting to draw up to my own desires lol. So I try to draw original characters with my favorite elements on my off-days to balance it with work. I don't really create stories or draw mangas though, so these characters I draw are just left alone...haha. It's like I'm doing up character designs lol. 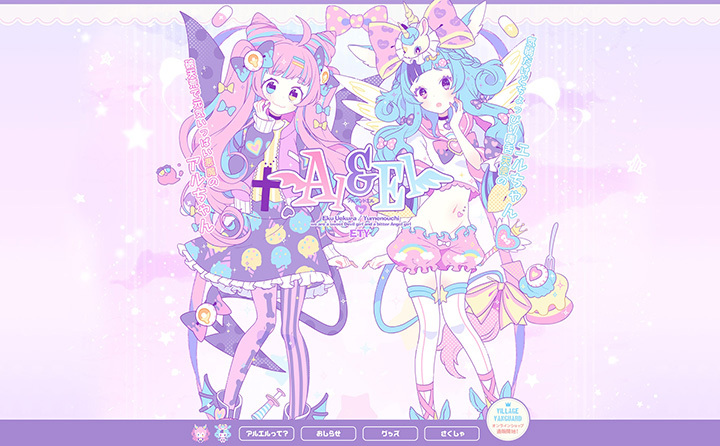 Eku Uekura and Yumenouchi working on character designs, special website for the dreamy-cute series, AI&amp;EI. -- The characters in your illustrations are always full of eccentricity and attractive. Are there things you look out for when creating characters? Thank you! I always try not to give in until I manage to draw a character I find cute personally. Just moving the facial features by 1px can change a lot. Drawing faces is like going on a journey to find that 1px. If I'm not satisfied, I might even color over the complete face to restart. And outfits! I always design the outfits before drawing the illustration. Once I've decided on the outfits and hairstyles, I'll add in the pose, and expression required to pull the clothes off well. It just doesn't seem to work if I do it the opposite way round. I might even shelf the piece of work halfway through if the expression and pose doesn't match etc. You need the outfit to see what kind of pose would look good, and what kind of pose to see what kind of expression would look good. You could say that illustrations are an extension of character designs. -- Where do you see yourself in 10-20 years? My greatest goal is to still be drawing illustrations as me even in 10-20 years..... I'm currently working at an office now, so the amount of work I can do as Eku Uekura are surprising limited. I even have to reject offers at times. But I wonder if I'll still be drawing illustrations that make people want to ask me for more work. I wonder if I'll still be drawing illustrations that make people happy. I'll try to cover up for the lack of quantity with quality. And I always feel the need to work hard to maintain a certain level of quality. That's why my biggest goal would be to still have work in 20 years time. -- Lastly, can we have some advice for people aiming to become illustrators and content creators. I think it's important for you to expose yourself to more jobs. A good platform would be pixiv and twitter, where you can keep publicizing your work. You might want to try actively submitting your work to illustration awards and taking part in as many events as possible. There's a high chance you'll be able to directly interact with the people who will be giving you the jobs, and have them check out your illustrations in person! Do try your best to have as many people see your illustrations as possible! The first part to XYLITOL 20TH PROJECT that Eku Uekura will be taking part in will begin on 23 May. In the event "Packaging One of its Kind" will see 20 groups of youths in their 20s design packing with the theme of 'future'. Lot's of packages have been designed, with over 2 million distinct entries. These packages will be displayed at the shop during the period of the event, so do drop by, chew, and enjoy yourselves! Born 17 June. Kanagawa Prefecture. Illustrator. Manga artist. Manga author, insert art author, character designer, SD character, CD jacket designer.